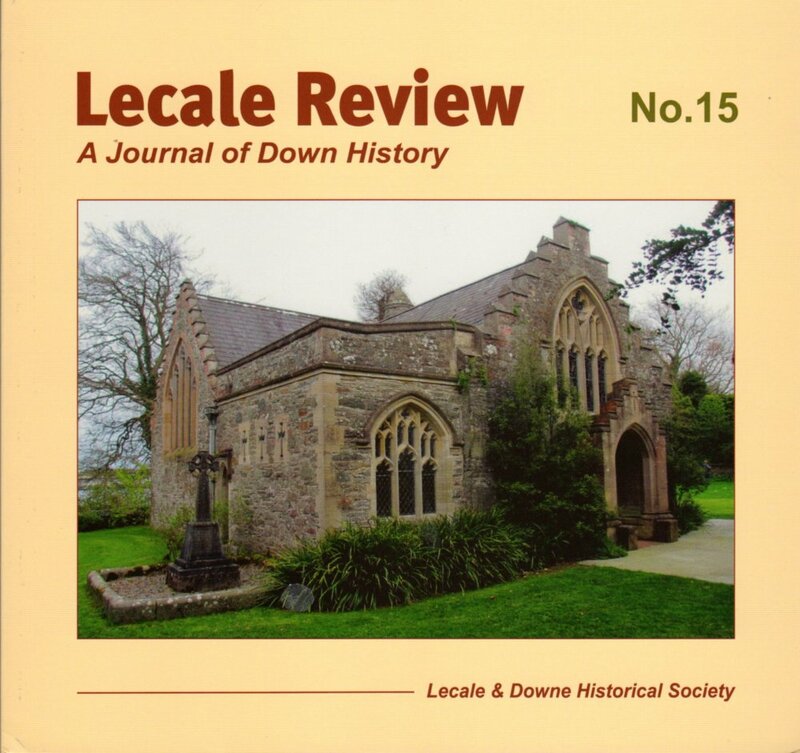 The Lecale and Downe Historical Society is based in Downpatrick, the County Town of Down in Northern Ireland. Downpatrick is situated in County Down some 20 miles south east of Belfast about 15 miles from the Mountains of Mourne whose distinctive profile 'sweeping down to the sea' are visible on the southern horizon. Click for location map. 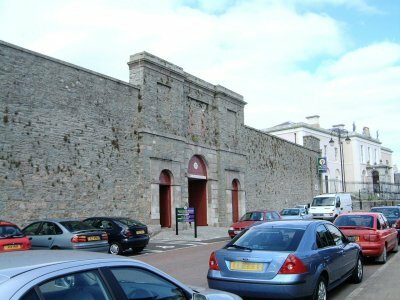 We meet regularly in the Down County Museum, one of the foremost local museums in Ireland. The site is illustrated throughout with images of Lecale. For information about the images hover your mouse pointer over them. Click on images for larger - sometimes different - versions (in most cases). We hope you enjoy your visit. The site has a section on historical resources containing Griffith's Valuation for Lecale and, as an on-going project, the complete transcription of the 1901 Census of Ireland for the area, as well as descriptive articles about the main places in Co. Down in the 1830s and several sets of correspondence by 19th century emigre families. Lecale, centred on Downpatrick, is the historic barony that includes Strangford, Saul, Inch, Ardglass, Killough and Dundrum. The Society is one of the longer established and most consistently active local historical societies in Ulster. Originally two separate societies - The Downe Society (est. 1948) and The Lecale Historical Society (est. 1974) - sharing the same ethos, they amalgamated in 2009. The Society is a registered charity with the aim of assisting the community by promoting the study of history and the environment. Membership is open to all who subscribe to its aims. Members are entitled to attend the lecture programme and other events organised by the Society, and to participate in elections to the Executive Committee. Society newsletters and a free copy of our journal are additional benefits of membership. Since 1983 the Society has published an annual journal, originally Lecale Miscellany (1983-2002) and Lecale Review (2003-present) plus several occasional monographs. Please see our 'Society Journals' and 'Other Publications' page for a full list of topics and authors featured. . The name Lecale is derived from the ancient gaelic "Leath Cathail" which means "Cathal's portion"; Cathal being a prince of Uladh about 700 A.D. An even earlier name "Magh-Inis" - the island plain - reflected the area's geography. Indeed some people in the area still use the name Isle-Lecale. Until about 200 years ago, when the first sea barriers were constructed and drainage began, the sea; Strangford Lough, the Irish Sea and Dundrum Bay, almost encircled the whole of the area. 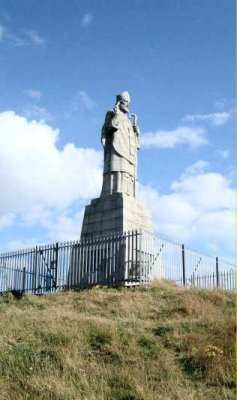 On one of our low hills stands a giant statue of St Patrick, symbolically looking out from Lecale into the rest of Ireland. It commemorates the fact that this is the area where Ireland's patron saint both began and ended his mission. Today the land surrounding the market town of Downpatrick, with its ancient cathedral, is still largely rural. Many people commute to the city of Belfast to work, and within Lecale the principal occupations are centred on farming, fishing, tourism, and the service industries.